Your kids will be thrilled about our sports baby bedding selection. Deck out any nursery with a football themed toddler sports bedding set and your little one can take the action and excitement of their favorite (or dads favorite) sport to their dreams. Beyond Bedding has so much more than just our Sports Crib Bedding sets! So if you would rather adorn your nursery decor with an Asian Baby Bedding theme or even a shabby chic crib bedding set then all you need to do surf through our inventory! 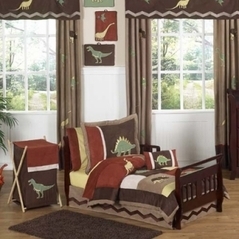 These all star baby bedding sets are the perfect thing for any future sports fan or for parents who want to inspire their children to get involved in sports. 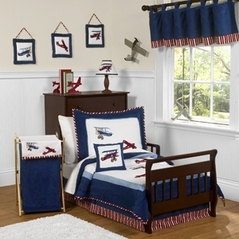 The Playball Sports crib bedding is beautifully done in blue and features many baseball motifs. 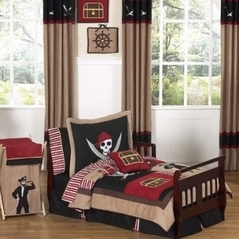 Imagine accessorizing your little player's room - so many ideas! This charming baseball set is done in shades of blue as the main color; other color elements result in a very attractive set. 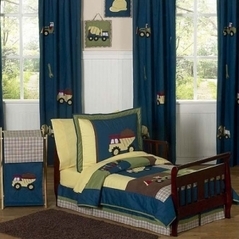 For your mini football fan, make sure you take a look at the Football Embroidered sports crib bedding set. 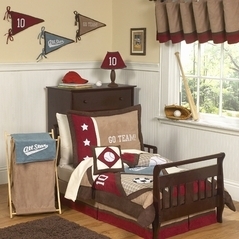 Let our great line of sports crib bedding sets decorate your little slugger's room. Also make sure you check out our fish toddler bedding, for a Fish, Ocean, and Sea theme. 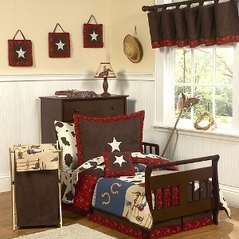 If you�re looking for a more relaxed country inspired bedding theme check out our adorable country baby bedding sets.